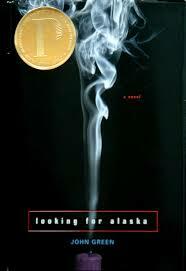 In the book Looking for Alaska, John Green intrigued me with his exceptional imagination and writing skills. It all began when Miles, a friendless boy from Florida changed from (school name) to Culver Creek. He wanted to switch because he wanted to find his “great perhaps” and also because it was far away from his home and his father attended Culver Creek Boarding School when he was young too. When he got there, he found out who his roommate was: a boy named Chip Martin. Chip showed Pudge (Miles’ new nickname) Alaska, a beautiful girl who stayed down the hall from them. Pudge instantly fell in love with her and they became good friends. There are many conflicts that occur in Looking For Alaska, but one of the conflicts is character vs. self. For example, after a semester at Culver Creek, nobody knew why Alaska was freaking out, ran into Chip and Miles’s room and told them she had to leave. Since Miles and Chip were drunk as well, they helped her drive away. A few miles down the road, Alaska crashed into a cop car and died. Why did she die? And was it suicide, or an accident? After Alaska dies, she leaves Miles and Chip with the conflict of her death and whatever feelings they were dealing with at that time. John Green did an amazing job writing this page turner. It is filled with mysterious characters, and an exciting plot. The mystery of when Miles and Chip are looking for Alaska make me want to read more and more. Two examples of intense parts that really made me want to read are when Kevin and his group of friends wrapped Miles up in duct tape and threw him in the lake. Also, two of the other intense parts is when they find out that Alaska is dead, and when the students pulled the prank at their memorial for Alaska. I would definitely recommend this book to anyone who enjoys unexpected endings, cliff hangers, and mysteries.